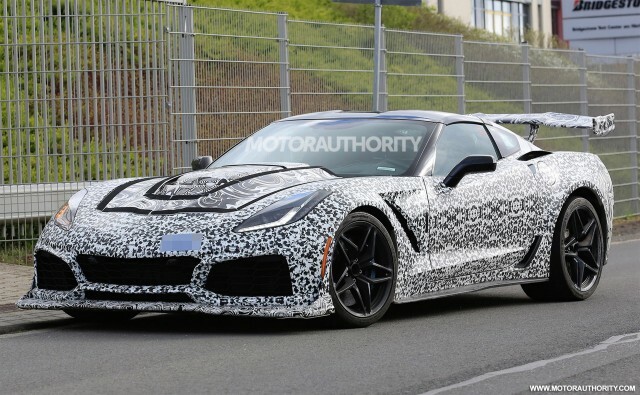 Corvette fans have a lot to look forward to in the coming months and years, with our sleuth spy photographers in the recent past capturing both a Corvette ZR1 and a long-awaited mid-engine Corvette out testing. Chevrolet understandably is tight with details on the new cars as the current C7 Corvette has only been on the market for four years. And it’s still available for the 2018 model year which according to reports might be a short one for the Corvette. Production of the 2019 Corvette, which may or may not be the mid-engine model, is alleged to be starting as early as next January. So what does the 2018 model year bring for the Corvette? Not much to be honest. All Corvettes get HD digital radio as standard. They also get an improved rearview camera with higher resolution and wider angle. There are also some changes in color and trim options and finally the available Performance Data Recorder has been enhanced. In the case of the latter, the Cosworth Toolbox now also includes individual wheel speeds, individual suspension displacements, yaw rate, and intake and ambient air temperatures. For the Corvette Stingray, the standard wheel size moves up an inch to 19 inches at the front and 20 inches at the rear. Chevy has also finally made magnetic ride suspension a standalone option on the car. For the Corvette Grand Sport, carbon-ceramic brakes are now offered without the Z07 Performance Package. In addition, a satin black center stripe is available with the Heritage Package. And for the Corvette Z06, there are new wheel patterns to choose from as well as a new gray interior option. On top of this, Chevy has introduced the limited Corvette Carbon 65 Edition models which celebrate the Corvette’s 65th anniversary. Designed for the Grand Sport, the cars blend visible carbon fiber exterior elements—notably, a new carbon fiber rear spoiler and rear ducts—with a new Ceramic Matrix Gray exterior color and special interior appointments, including a new carbon fiber-rimmed steering wheel. Just 650 will be built for worldwide sale. Though it’s yet to be confirmed, the aforementioned Corvette ZR1 is still expected to join the lineup for 2018. The car was originally due for a reveal earlier this year but now might not make an appearance until the end of the year or possibly even next January. 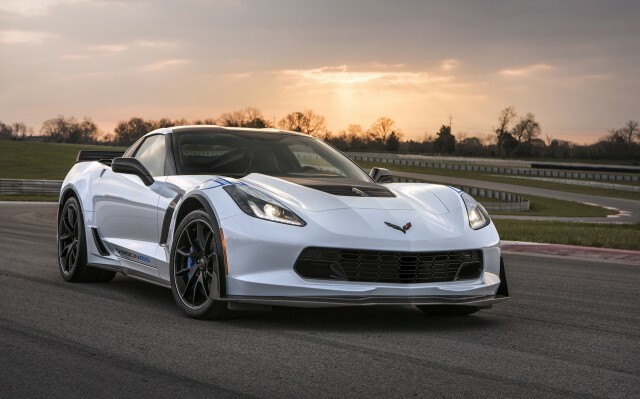 For more on the Chevrolet Corvette, read the in-depth reviews at The Car Connection.